Another type of ransomware attempts to impersonate a law enforcement agency claiming the user has been caught performing illegal activities online. Files are then locked in difficult to crack, encrypted files, making it nearly impossible for users to recover unless the requested ransom is paid. Typical ransomware attacks usually ask for amounts of $100 to $200 from a personal user. Other attacks seek much higher amounts, especially if the attacker knows the data they're holding hostage will cause significant direct financial losses to a company. No matter what the scenario, there is no guarantee that the user will ever fully regain their system again once a ransom is paid. In fact, this could open the door to even greater financial loss. 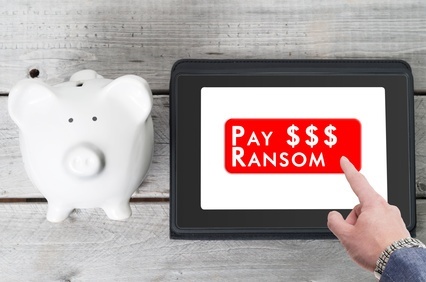 Some ransomware hackers demand victims pay the ransom through Bitcoin, MoneyPak or other online payment methods connected to sensitive banking information. Attackers could also direct the user to enter credit card data, adding and even higher level of financial loss. You should always make sure your firewalls are on, pay attention to your own anti-virus software's warnings when visiting questionable websites and be alert when opening any link in email messages. Hackers have learned to disguise themselves under an email address that may be familiar to you and that you would normally not think twice about opening. Having a professional from Computer Corner perform a thorough scan of your systems can mean the difference between peace of mind and chaos. Contact our tech experts today.